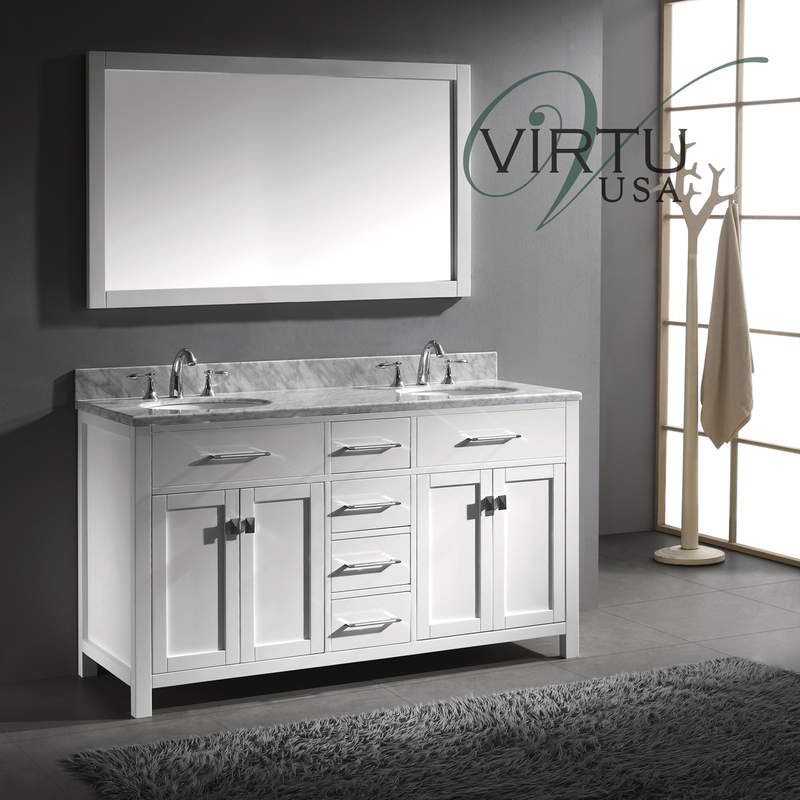 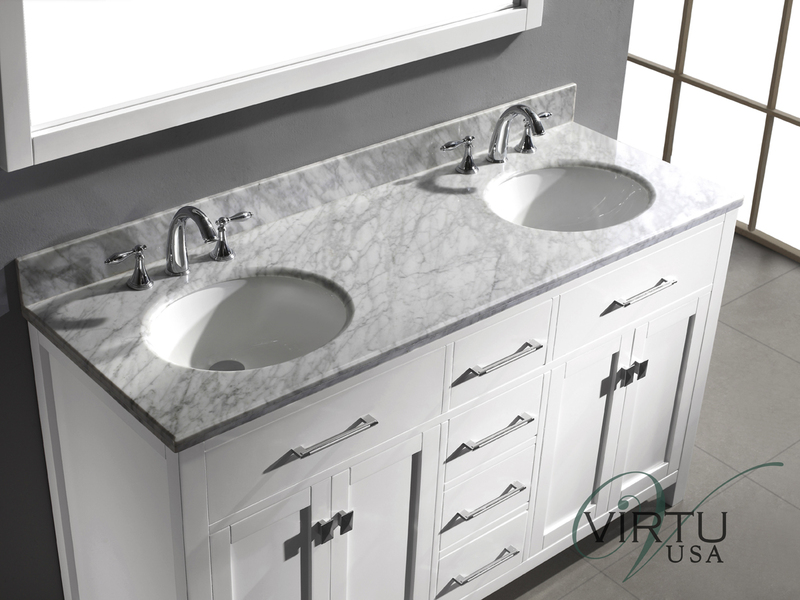 What makes the 60" Caroline Double Vanity such a remarkable vanity is its versatility of style. 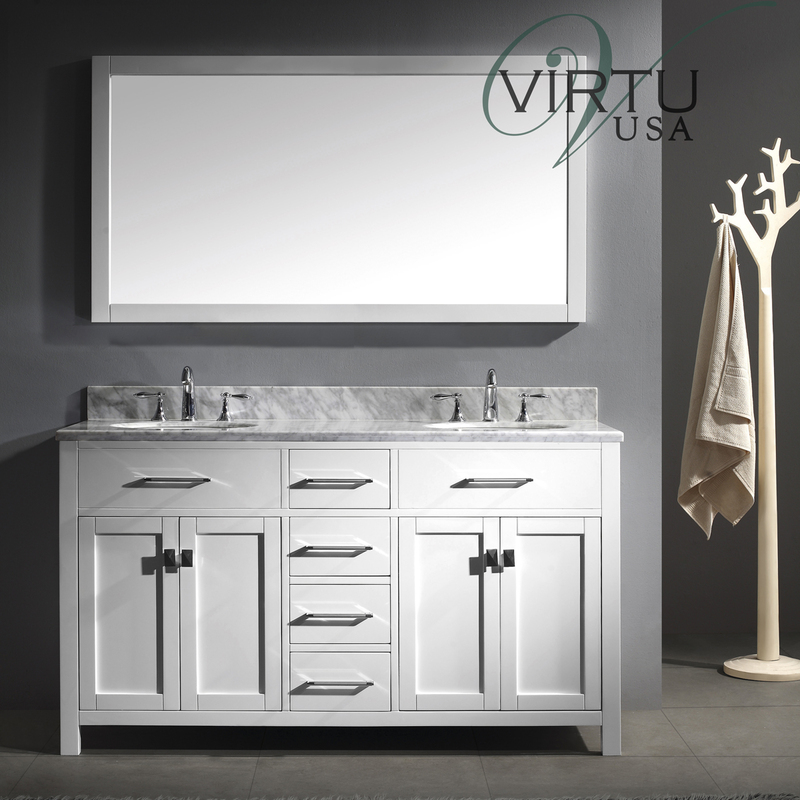 Featuring a clean design that will transform any bathroom, the Caroline offers an elegant White finished cabinet made from solid oak wood that's complemented by a beautiful Italian Carrera White Marble top. 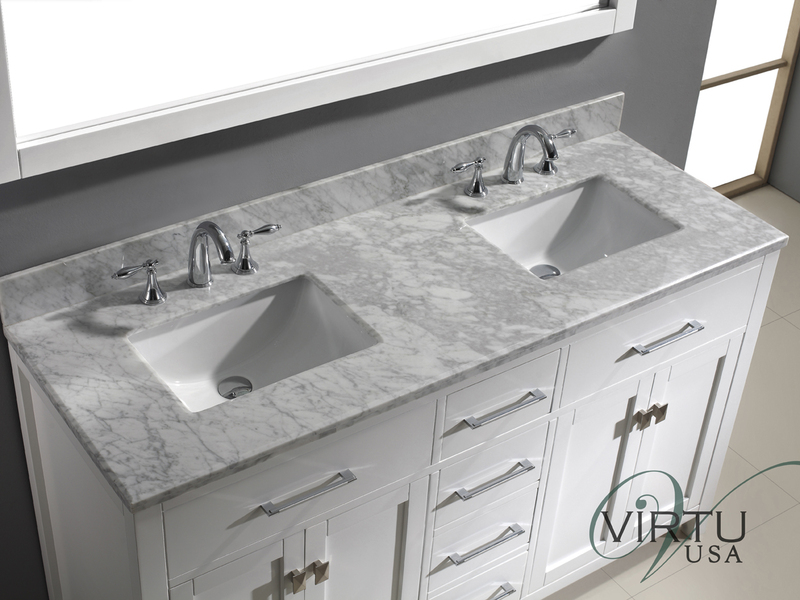 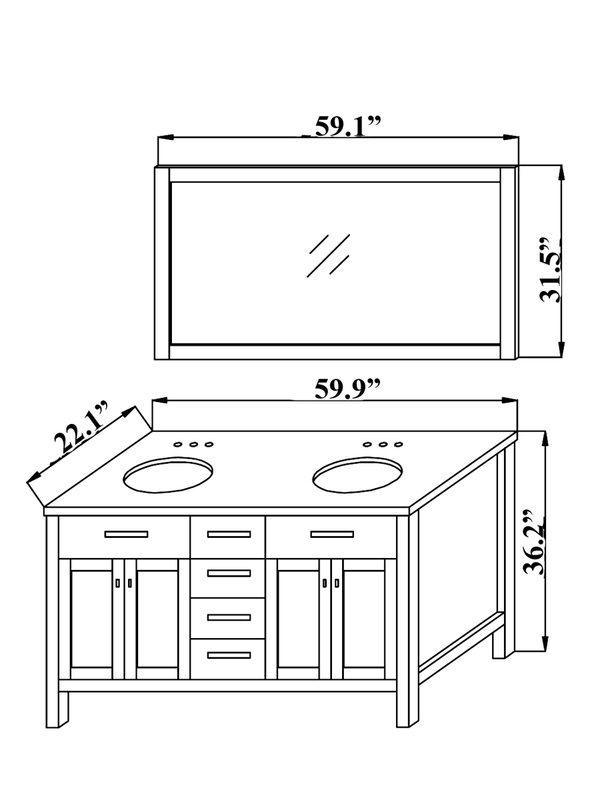 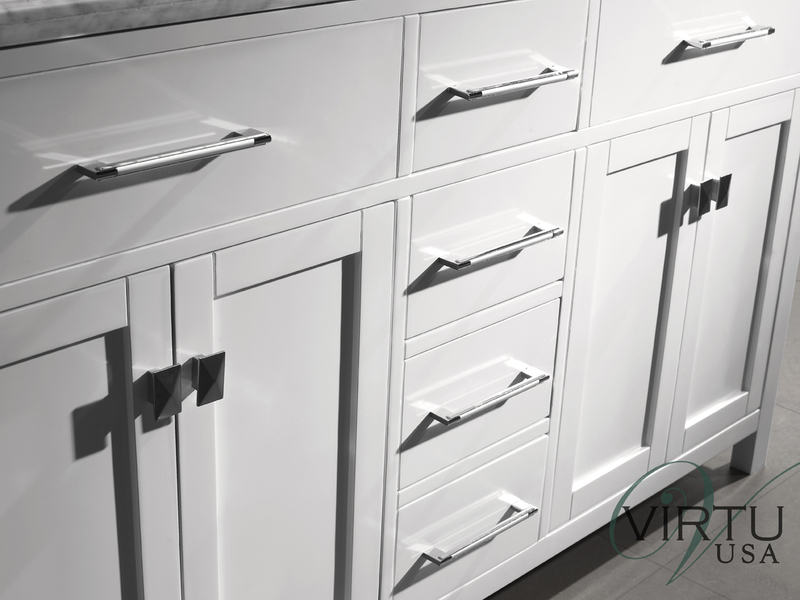 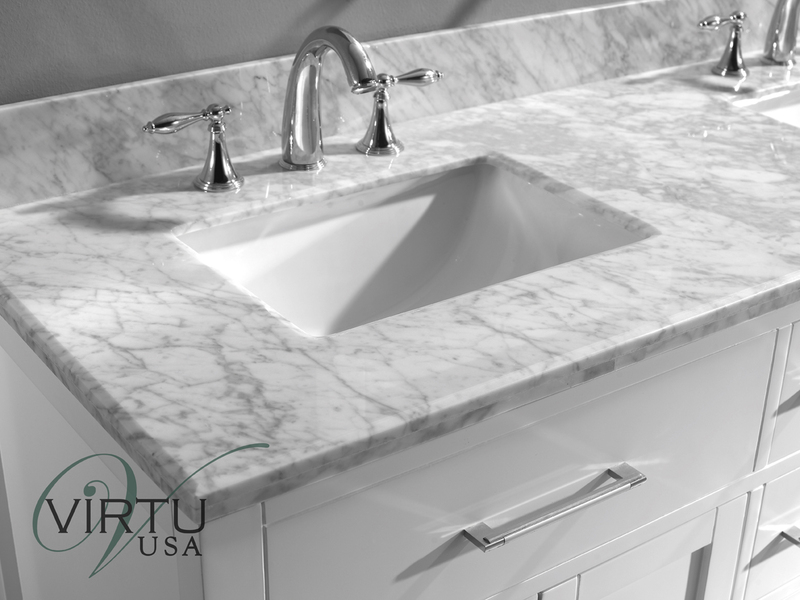 You can choose to have the sinks be cut with a rounded or squared shape. 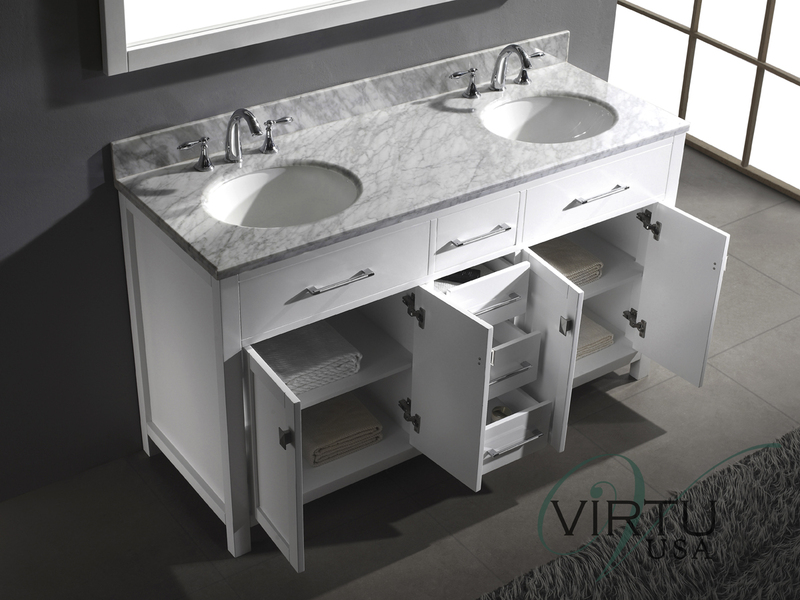 The Caroline Vanity also includes a matching mirror for extra convenience!